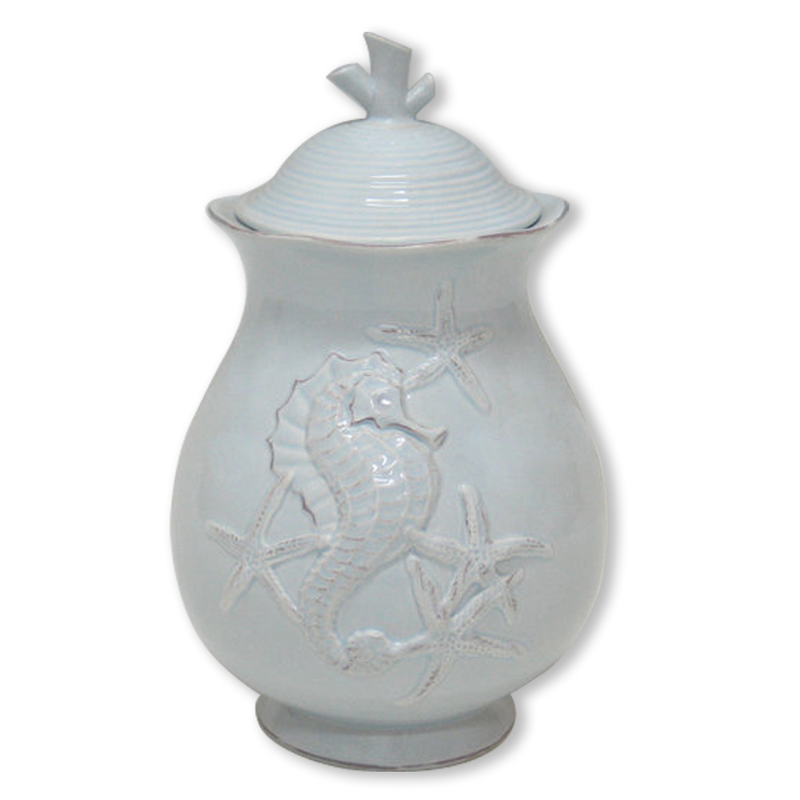 Make a statement in your kitchen with the Blue Seahorse Canister - 8 Inch, adorned with an elegant raised pale blue seahorse and starfish design for a true coastal feel. This coastal kitchen decor ships from the manufacturer. Allow 2 weeks. Cannot express ship. For further options, we encourage you to take the occasion to look at our thorough collection of coastal kitcen decor at Bella Coastal Decor now.